Heavily treed lot that can open up to a possible lakeview but certainly a seasonal lakeview and mountain view. 1/2 block up from Marina giving a quick ATV ride to the covered private boat docks. New Clubhouse for the subdivision and lots of get togethers for the neighborhood. You can be as social or private as you like. Enjoy the peace and quiet and the wildlife. Lots of hardwoods on this property. 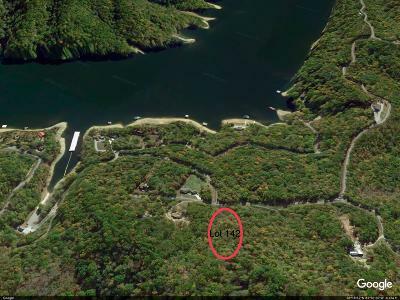 Come take a look for yourself and build your next lakehouse!! !